Imagine the Southern Alps dropping straight into the sea. A gentle river full of fish drains into a large sand rimmed bay stuffed with marine life. New Zealand Red Deer fill the gullies behind the bay. A tiny cabin sits next to the mouth of the river. The waves are pumping. Fueled by consistent southerly swell, three different point breaks, an A-frame reef and river-fed beach break offer waves for every ability level beneath the jagged peaks. The entire region is extremely remote and there are multiple beaches, river mouths, reefs and points up for discovery via our personal helicopter. Located in remote Firodland, on the southwest coast of New Zealand’s south island, Big Bay might be a place that time forgot, but you’ll never forget Big Bay. 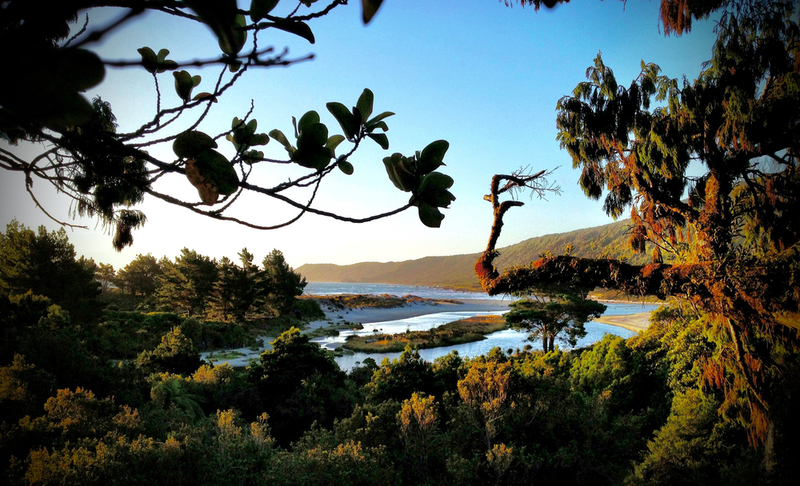 It’s not a fantasy, It’s a dream with a name: Big Bay, New Zealand. Why: Fall in New Zealand has the best combination of good waves, weather, fishing, and wildlife (and lack of bugs). 6. Each trip also has a Stoke Broker trip lead and a professional photographer. THANK YOU. A STOKE BROKER WILL BE IN TOUCH SOON!